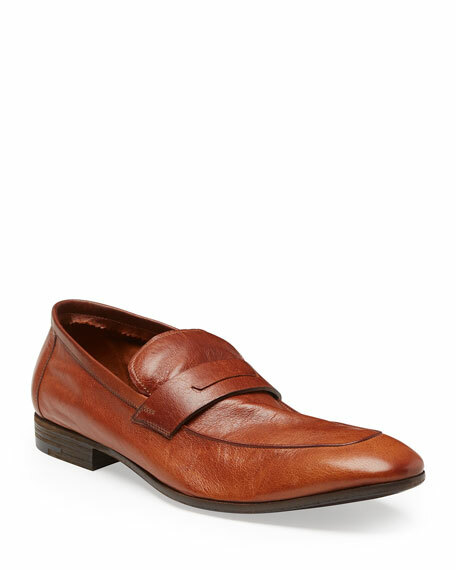 Berluti grain leather penny loafer. 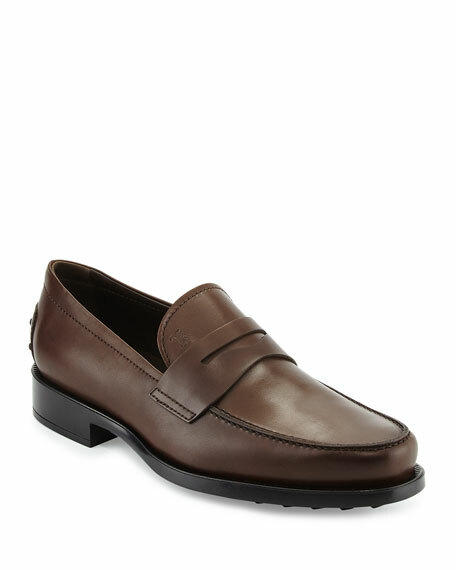 Tod's smooth calf leather penny loafer. Notched vamp with penny keeper strap; embossed logo. Round, plain toe. 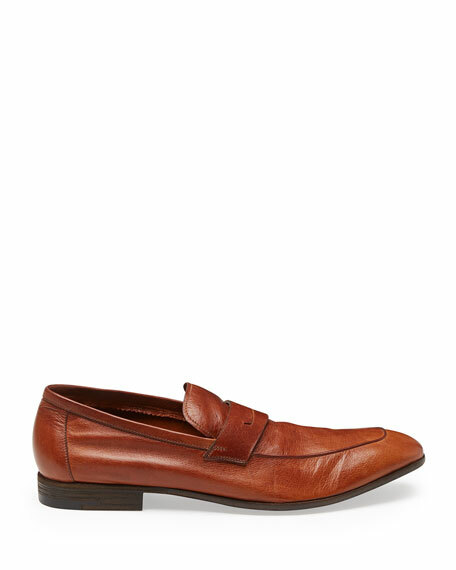 Leather lining and footbed. Signature Gommini pebbled rubber sole and heel guard. 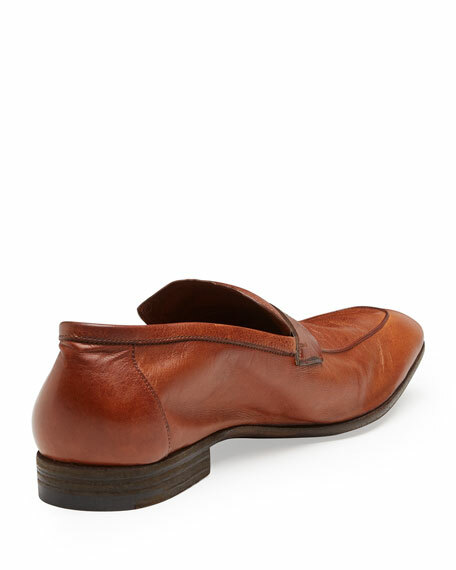 1.5" flat stacked heel. Made in Italy.